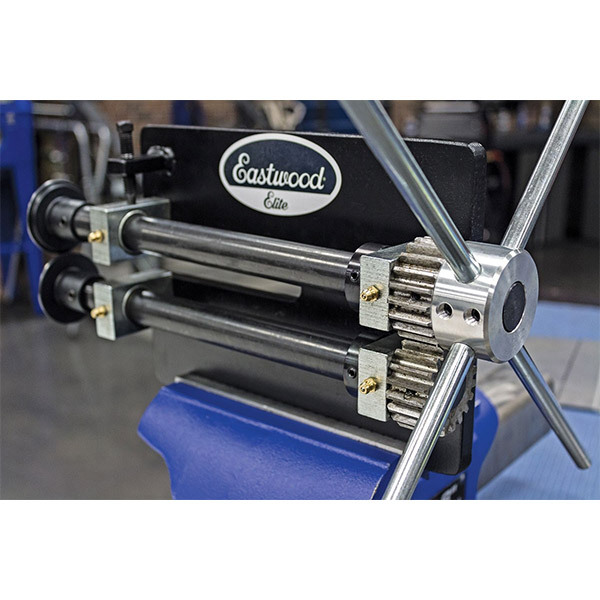 Eastwood Elite 8" Heavy Duty Bead Roller is one of the only manual bead rollers on the market that enables you to produce strengthening ribs in panels, shape edges and form intricate designs in any panel by yourself. 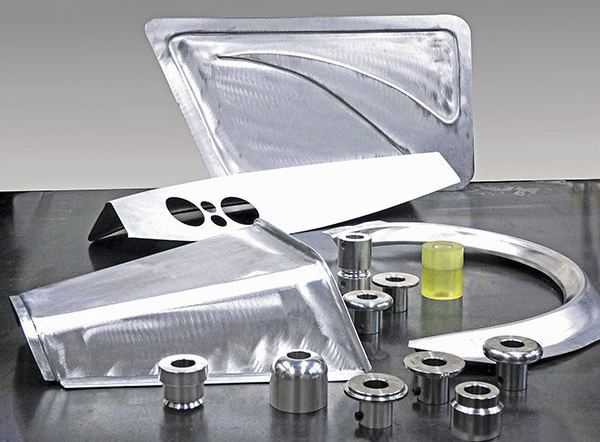 You can also create channels and flanges with the offset flange dies that are included. 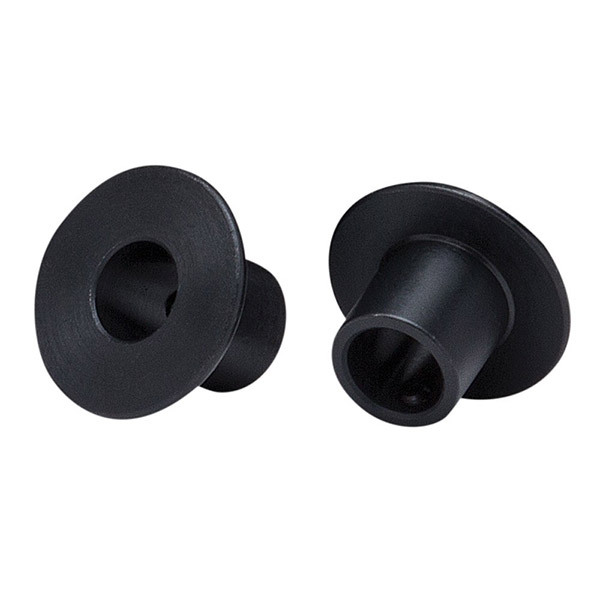 The gear-driven design delivers maximum forming power while requiring minimal handle force for the greatest accuracy. 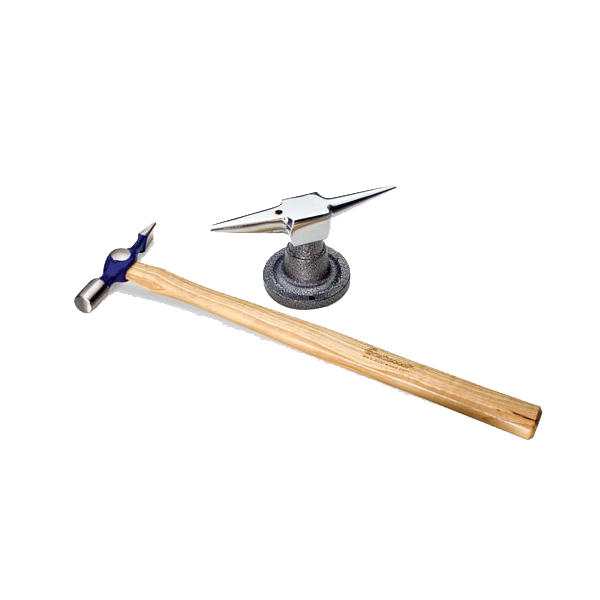 The 8" throat depth provides the ability to reach the center of a 16" panel. 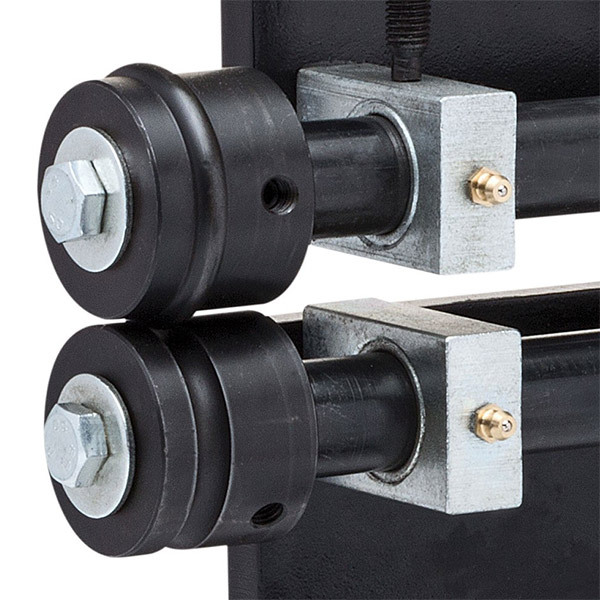 With the 4 spoke crank handle and the smaller size of this Bead Roller it only takes one person to easily operate and form panels. 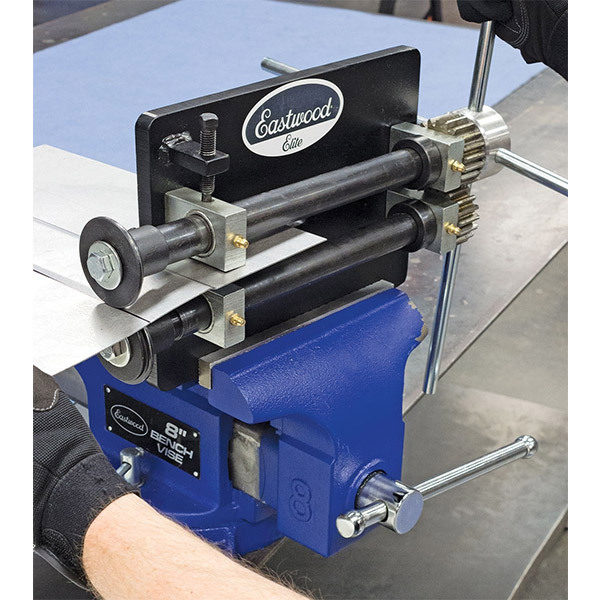 This Bead Roller includes a popular 3/8" Bead Die Set and Offset Die Set that you will need in most of your fabricating projects. 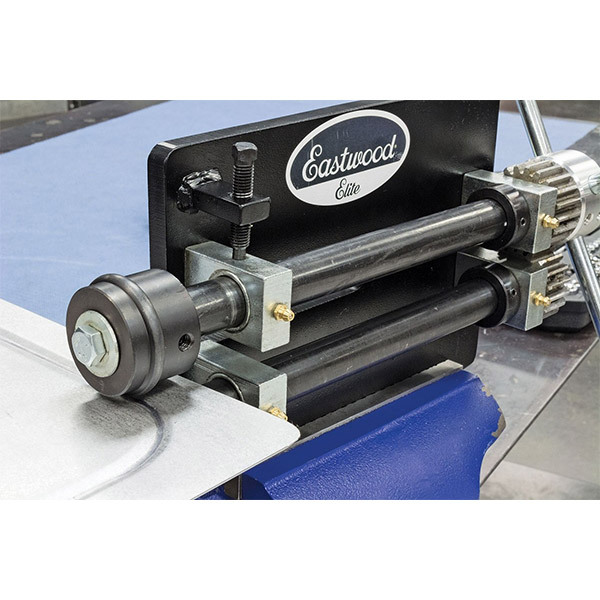 With the Industry standard 22mm shafts you will be able to use most other die set available like the optional 20267 Eastwood Bead Roller Metal Fabrication Forming Dies. 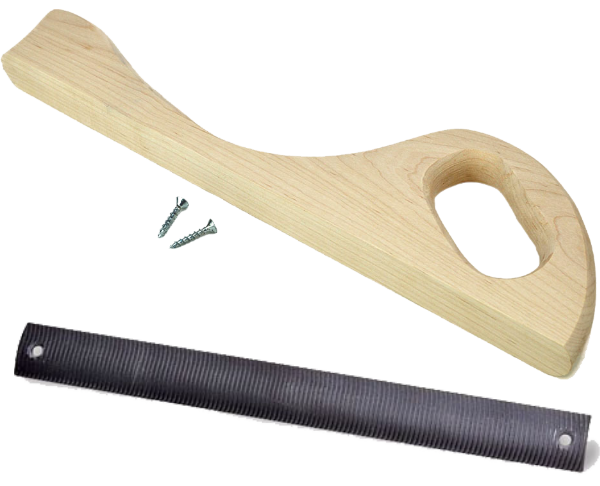 Maximum panel width (working from center): 16"
In this video Randy goes over the 8" Elite Bead Roller & how to use it, including the features & benefits of owning a bead roller. 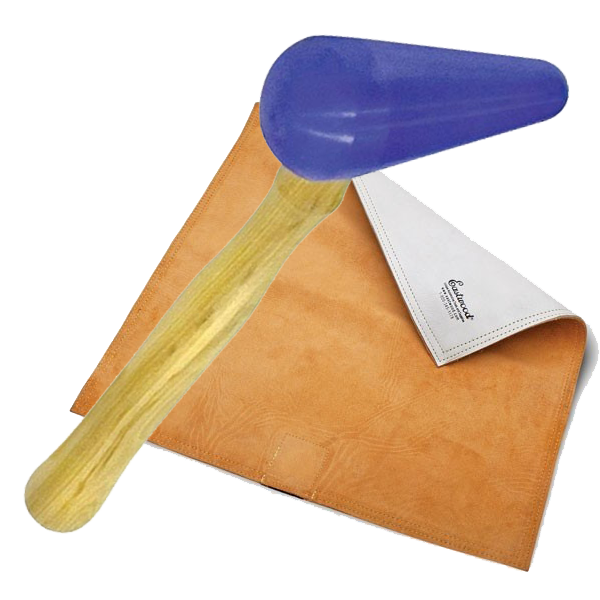 Bead Rollers are great for fabricating floor pans, wheel openings, dashboard inserts & more! 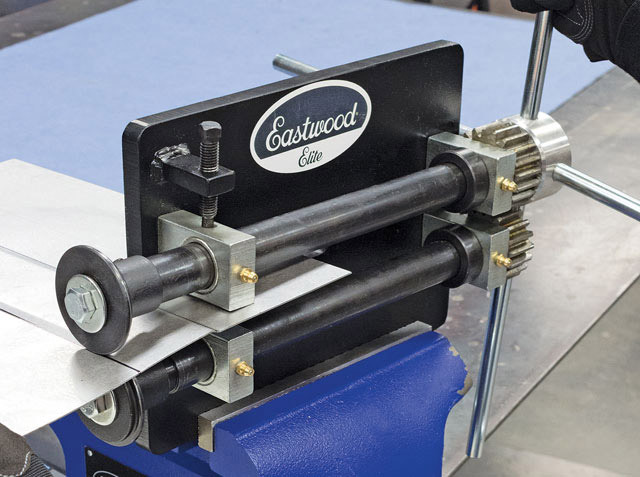 In this video Randy goes over Eastwood's complete line of bed rollers, including hand crank and motorized bead rollers. 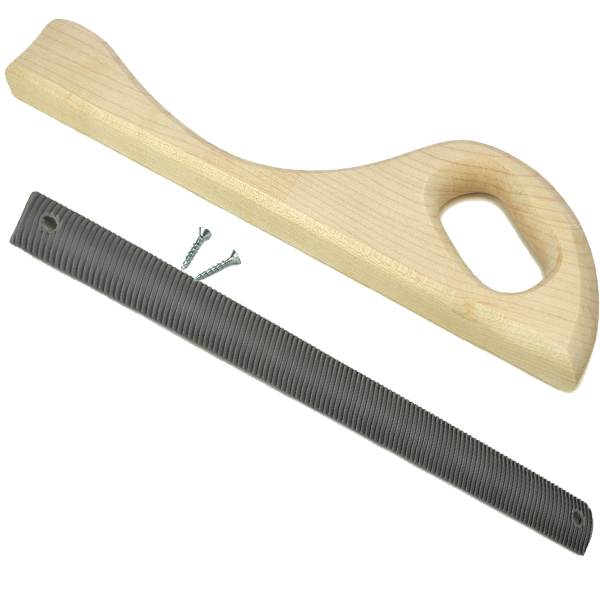 In this video Matt uses the Elite 8" Heavy Duty Bead Roller and forming dies to make a patch panel for his Model T Door. 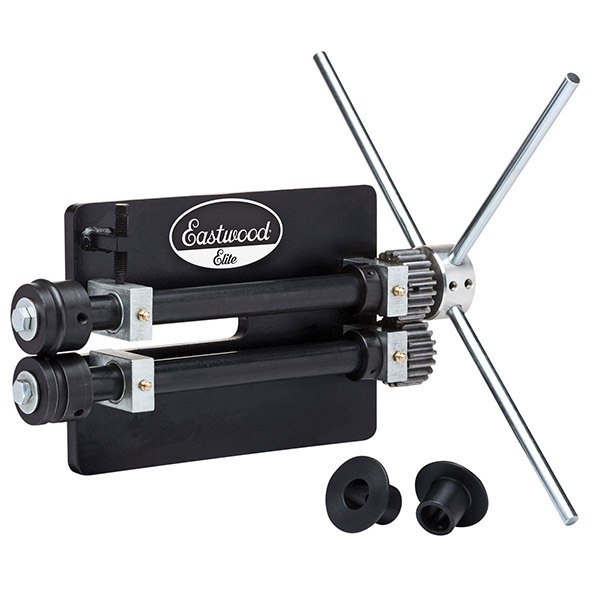 I bought this about a month ago I'm building a model a and I love it works great no flexing. I just need to buy more dies for it. 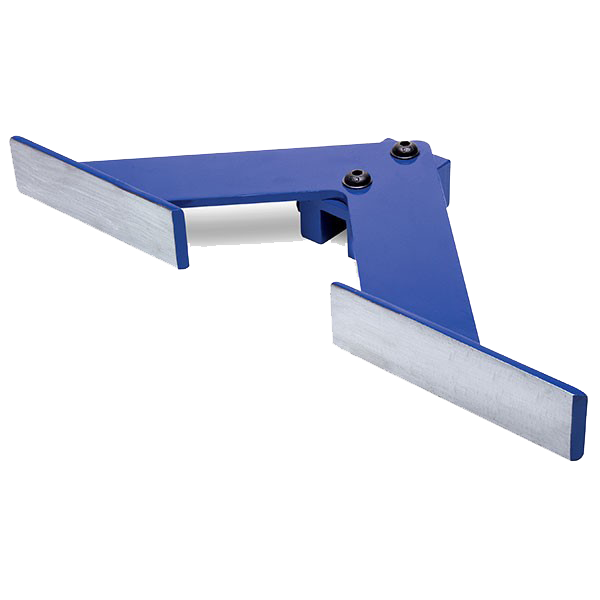 I bought this unit about 3 months ago, received exactly what I expected.. a solid piece one man bead roller!!! Couldn't ask for more especially at the price it's a steal!